With a New Year just about to begin, attention inevitably turns to what the future may bring, whether it be good or bad. For the last eleven years, we here at the Center for Preventive Action have done our bit to try to look ahead and discern what the United States should be most concerned about when it comes to potential international conflicts and crises. Our goal is simple: to identify the greatest risks, so that we can help mobilize attention and resources to avert the potential danger. The Preventive Priorities Survey (PPS), as we call this exercise, polls many hundreds of American foreign policy experts by asking them to evaluate thirty contingencies that we have determined to be plausible in the next twelve months. For each, we require they assess not only the likelihood of the contingency happening, but also its potential impact on U.S interests. Only by doing both is it possible to prioritize them for preventive action. In this respect, the PPS is unique. The results this year were interesting for a number of reasons. First, for all the talk of growing geopolitical rivalry among the major powers, only one contingency involving the United States and China—over disputed territorial claims in the South China Sea—received the highest priority ranking (Tier I). Tensions between the United States and China have increased as the dispute over tariffs has ratcheted up. The United States has also been conducting numerous freedom of navigation operations (FONOPs) in the South China Sea (in March, May, September, and November of this year). Notably, while conducting FONOPs in September near the Spratly Islands in the South China Sea, the USS Decatur and a Chinese warship almost collided. It is also noteworthy that a possible crisis over Taiwan, which arguably has the greatest potential to escalate into a dangerous confrontation between the United States and China, appeared for the first time in the PPS, even if it is still considered a mid-level (Tier II) priority. 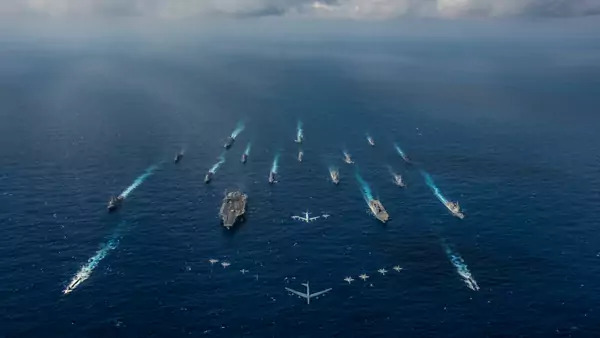 A Chinese ministry spokesperson has called U.S. FONOPs a “grave threat” for Chinese vessels and personnel, while the United States asserts that it is simply exercising its rights under international law. Second, the two contingencies most likely to lead to a clash between the United States and Russia in Eastern Europe were both considered mid-level prevention priorities (Tier II), with a potential military confrontation between Russia and North Atlantic Treaty Organization (NATO) members actually downgraded from last year. However, shortly after we closed our survey, Russia seized three Ukrainian naval ships in the Sea of Azov in late November and now appears to be massing troops near the Ukrainian border. If we had conducted the survey after this move, the results might have reflected a different perception of the risk. Third, crises in the Middle East and North Africa continue to elicit the most concern. Eight contingencies were considered in this year’s survey and three of the eight were considered top tier priorities: an armed confrontation between the United States and Iran, violent re-imposition of government control in Syria, and a worsening of the humanitarian crisis in Yemen. In the last few days, however, U.S. strategy in Syria seems to have changed, as the Donald J. Trump administration announced its plans to withdraw all U.S. troops from the country within the next thirty days. Pentagon officials and others have questioned the decision, worried that a U.S. withdrawal will leave U.S.-backed Kurdish groups vulnerable to offensive strikes from Turkish military forces. U.S. policy toward Yemen, too, may evolve in the next few months as Congress considers legislation to end U.S. support for the Saudi-led coalition. Fourth, for the first time since the survey began, three contingencies in Central and South America were assessed and a continuation of the crisis in Venezuela was considered a top priority for the United States. A joint representative of the United Nations Refugee Agency (UNHCR) and the International Organization for Migration stated that an estimated two million Venezuelans could leave the country next year, resulting in a total of 5.3 million refugees. Venezuelan President Nicolas Maduro has largely refused external aid, even as Venezuelans face economic and health crises, but recently agreed to allow UN agencies in Venezuela to receive aid from the UN’s Central Emergency Response Fund. Coupled with contingencies in Mexico and Nicaragua, as well as potential unrest in Brazil, growing instability across the region will have enormous consequences for the United States as it considers refugee outflows and regional strategic interests. Finally, the threat of a highly disruptive cyberattack on U.S. critical infrastructure and networks was the top ranked homeland security related contingency for 2019. Remarkably, the risk of another mass casualty terrorist attack against the United States is also ranked among the highest (Tier I) concerns, even though it has been more than seventeen years since 9/11. The results of this survey should be interpreted with care as we only include contingencies where U.S. military force could plausibly be employed. We excluded, therefore, many potential crises that could harm U.S. interests but are not inherently violent, such as economic or health-related events and potential natural and man-made disasters where armed force is unlikely. The results also reflect the expert opinion of respondents at the time the survey was conducted and are best viewed as a “snap-shot” assessment. Recognizing this, the Center for Preventive Action tracks ongoing conflicts with our Global Conflict Tracker and assesses possible flashpoints and U.S. policy responses with our Contingency Planning Memoranda.